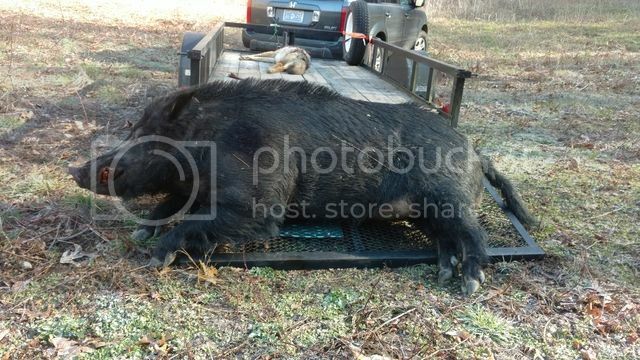 Went out this weekend to kill a little pig to eat, but this beast came out instead. He weighed 405 and was over 6 feet long for reference I'm 6' 4" in the first picture. Shot it with 7mm 08, after looking g for it for 30 minutes in the dark got back in stand to see if a small pig would show. That is when I got the coyote. WOW That's a huge one you had a good day Congrats. 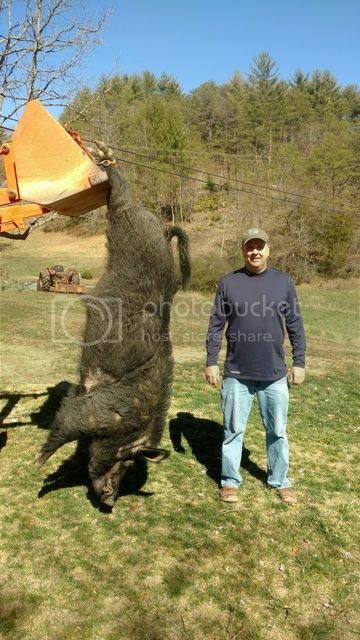 That's a whole lot of hog..... Great job on getting that yote also... It was a good day... Congrats! Are they good eating when they get that BIG?